Construction work has started on site on new rugby and football facilities at Melksham, Wiltshire. The scheme is part of Wiltshire Council’s project to deliver a community campus in the town. 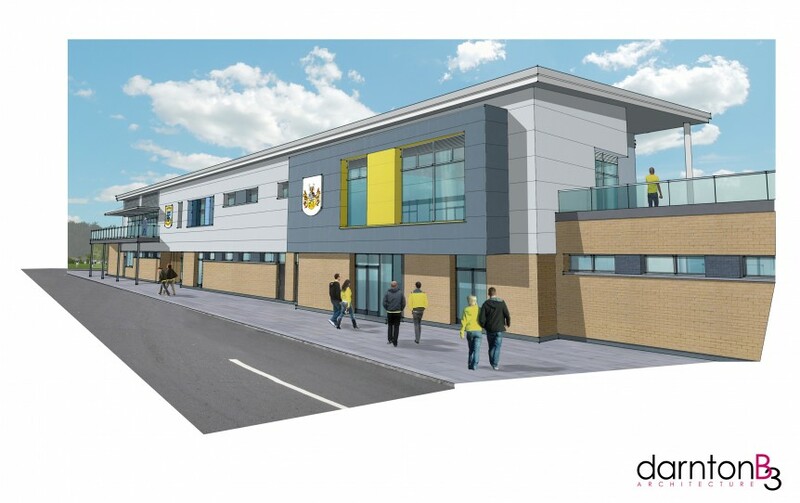 DarntonB3 act as architect for the project, Melksham Community Campus, that will see the football and rugby clubs relocate to the new location. Combined facilities include playing pitches of varying dimensions, together with club facilities and spectator areas. Both Melksham Town FC and Melksham RFC will continue to play at their existing site for the 2015/2016 season and move to the new facilities for the start of the 2016/17 season.